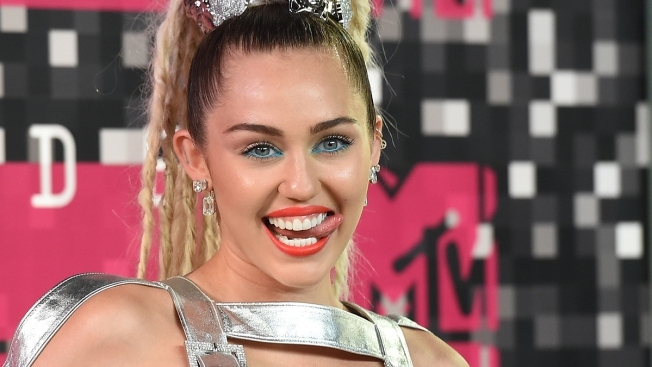 Miley Cyrus says she's "completely clean" after giving up marijuana. Cyrus told Billboard magazine in an April interview published online Wednesday that she hadn't smoked marijuana in three weeks. She says that's the longest she's ever gone without it. Cyrus also opened up about her relationship with fiance Liam Hemsworth. She says they had to "refall for each other" after their 2013 breakup. The 24-year-old former Disney star also discussed her performance at the MTV Music Video Awards in 2013. A scantily clad Cyrus shocked audiences with a rump-shaking performance alongside Robin Thicke. But she says she wasn't looking for attention by twerking on stage and was surprised by the reaction. Cyrus is promoting an upcoming album. Its lead single, "Malibu," is set to be released on May 11.